Don’t just talk about making movies, start shooting. This book will get you going. It’s the leading film book for amateur filmmakers. 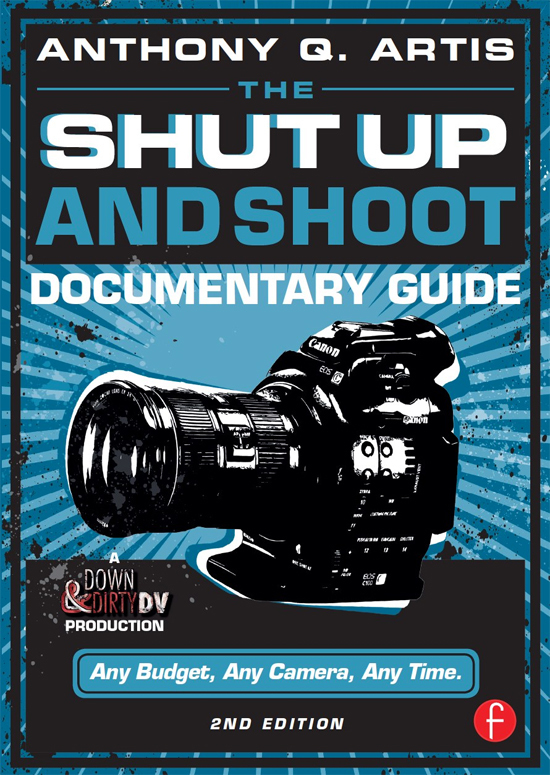 The Shut Up and Shoot Documentary Guide shows you how to do more with less. Give your videos that professional look and sound. Jump way ahead of your competition. In a few hours, you will learn more than film school courses teach in a whole semester. In fact many film schools use this book as an assigned textbook. The proven strategies will stretch your budget and better control your production. – Arun Chaudhary, First Official White House Videographer and author of First Cameraman. This is a practical guide with 370 Glossy Full-Color Pages and over 700 Illustrations And Photos. What’s Up with High Def?
. Hot Tip: Creating a “Film Look? Where Should Your Needle Peak?
. Why Use a Mixer? Which Aspect Ration Should You Shoot?
. How Do I Look?
. Hot Tip: Keepin’ It “Real? Before You Call a “Wrap?
. Who Should Edit Your Film?